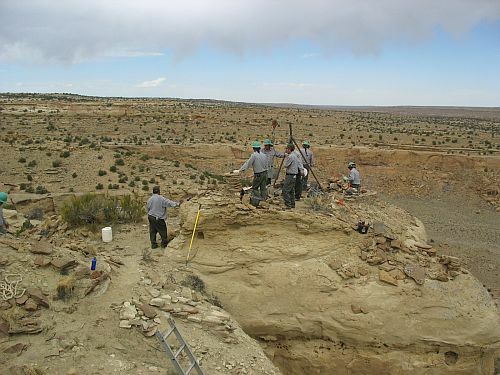 Today’s Albuquerque Journal has an article, originally published in the Gallup Independent, about the Chaco preservation crew and their work maintaining the various sites in the park. The article focuses specifically on recent work they’ve done at Pueblo Pintado. I don’t have a whole lot to add, but it’s an interesting account that addresses some of the complications of doing this sort of work for traditional Navajos, who have a strong taboo against even visiting Anasazi sites. The article says that the crew deals with this in part by conducting prophylactic ceremonies before starting work on the sites, which I hadn’t known. These ceremonies are apparently led by Harold Suina, a member of the crew who is from Cochiti Pueblo and is not Navajo (although I believe his wife is, and they live near Chaco in an area inhabited almost entirely by Navajos). The article doesn’t say this, but I suspect that Harold’s role is particularly important since Pueblos like Cochiti have different attitudes toward the sites at Chaco than Navajos do, so he may not feel as uncomfortable dealing with them as the other members of the crew, all of whom are Navajo, do. 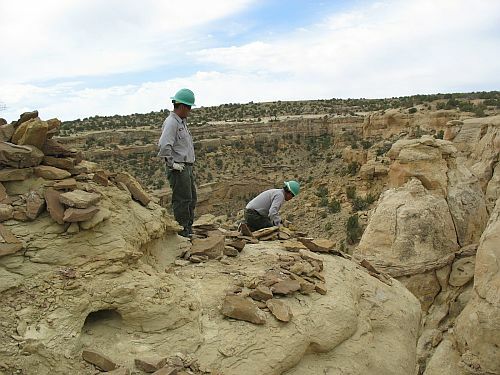 Not all of the Navajo members of the crew are traditional, however; some are Christian, as are many Navajos in the Chaco area, and they may not have the same qualms about their work that their more traditional colleagues have. Anyway, it’s an interesting article, and it’s nice to see the preservation crew getting some media attention. They do crucial work for the park, but it rarely gets noticed by either visitors or the many people who have written books and articles about Chaco over the years. When I was doing tours I would usually do a fairly detailed description of the preservation work early on in the tour, both because people often want to know how much of what they see at the sites is reconstructed (at Chaco, very little, unlike at many other parks) and because I wanted them to appreciate how much work it is to maintain the sites and why it is therefore important for them as visitors to treat them respectfully and minimize the amount of damage they cause. Hopefully this article will serve a similar function for a wider audience. What Makes a “Kiva” “Chacoan”? This set of features is certainly consistent with the general “San Juan” type of kiva that developed out of the Basketmaker pithouse, but it differs from the kivas found most commonly in areas like Mesa Verde to the north in a few ways. Before going into the differences, though, I want to just explain the importance of the lists of features given by Judd and Lekson. Firepit: All kivas have firepits; it is one of the defining characteristics of the form. In Chacoan kivas specifically, the firepit is offset slightly to the south of the center point of the kiva, which is always circular. 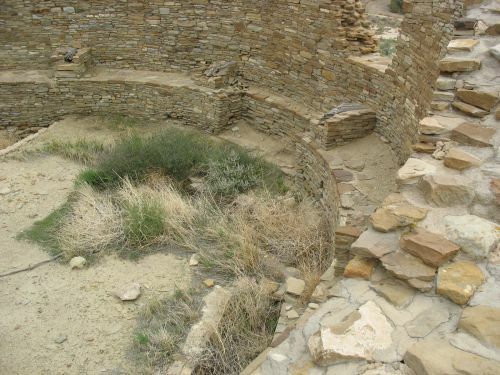 Firepits in Chacoan kivas are deep, circular or square in plan, and usually lined with masonry. Ventilation System: One major characteristic of San Juan small kivas in general is that they have ventilation shafts, usually at the southern end. Jesse Walter Fewkes wrote an article in 1908, which I mentioned in an earlier post, in which he set forth an argument that these shafts were indeed for ventilation rather than for any other purpose, and this argument is now more or less universally accepted. 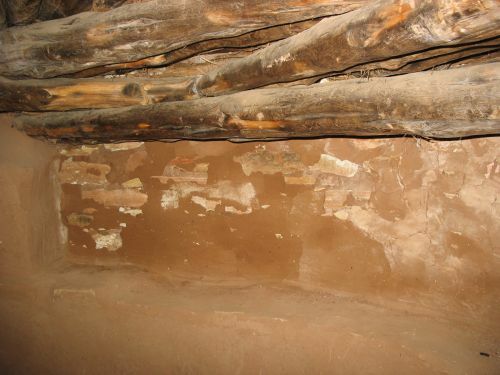 There are different types of ventilation system, however, and this is one of the major features distinguishing Chacoan kivas from other types. 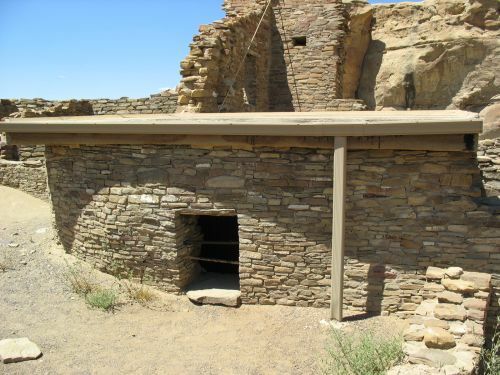 Chacoan kivas have ventilation shafts that run underneath the floor of the kiva and are accordingly called “subfloor” ventilation shafts. One end of the shaft opens vertically into the floor just south of the firepit, and there may or may not be a slab or low wall in between used as a deflector to distribute the air and shelter the fire. From this opening the shaft runs down a short distance then turns and runs horizontally to the south underneath the floor (or as a shallow trough that would have been covered by boards or poles) until it gets past the southern wall, at which point it turns again and runs vertically upward until it reaches the ground surface (at the level of the kiva roof, but just to the south of it) and opens up to provide the source for fresh air. 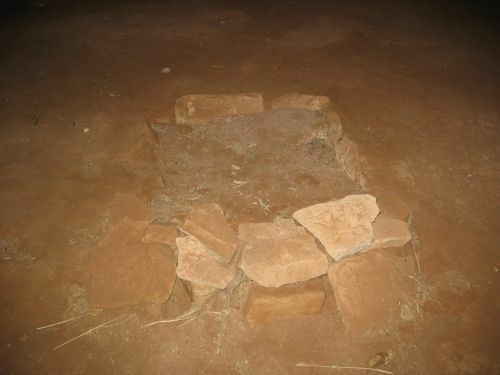 Floor Vault: Most Chacoan kivas have a single rectangular “box” sunk into the floor just to the west of the firepit. These are often filled and plastered-over, and sometimes have boards covering them, so Lekson notes that this feature may actually be more widespread than it appears from the literature (since excavators may have missed covered vaults in some cases). Since about three-quarters of excavated Chacoan kivas had evidence of vaults, this suggestion implies that these may have been nearly or literally universal in actual fact. These vaults are reminiscent of the similar “vaults” known from Chacoan great kivas, although its unclear why there would be different numbers of them. In both great and small kivas the function of the vaults is obscure. The fact that they sometimes have wooden boards on them has led some to argue that they were “foot drums” that people would have danced on to create a drumming sound, but Lekson points out that they are often filled with sand, which makes this explanation implausible. Bench: There is a low masonry bench around the circumference of the room. This is another standard feature of San Juan kivas in general, although the bench is not always made of masonry in non-Chacoan versions. Recess: At the south end of the bench there is a shallow “recess” in which the bench narrows. 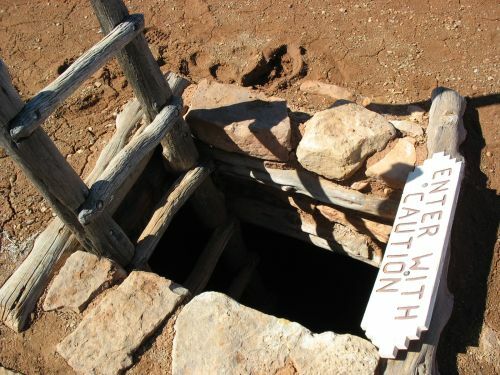 The location of the recess corresponds to the location of the subfloor vent shaft, but since the vent shaft is underground it does not actually have anything to do with the recess (this is another difference from Mesa Verdean kivas, which have above-floor vent shafts that open into the recess, which is often more prominent). 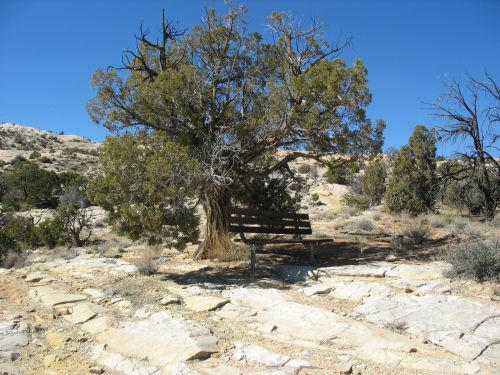 There is some evidence that at least in some cases there may have been a shelf over the recess, which would have continued the line of the bench and created a large niche under it. The purpose of this recess is obscure. Those are the criteria Judd gives, and they are pretty universally accepted and uncontroversial. Lekson adds two more, which are a bit more controversial. Elevation and Blocking-In: The early examples of Chacoan kivas at Chaco great houses, dating from around AD 900 to 1070, are generally subterranean and usually located in the plazas of great houses, backed by suites of rectangular rooms. 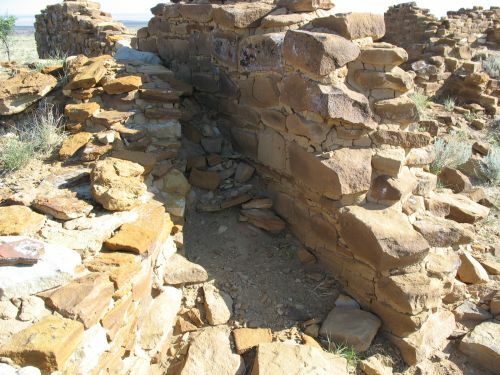 The “classic” examples of Chacoan kivas, dating from about 1075 to 1130, are generally built into square rooms within the great-house roomblocks, usually on the first floor but occasionally on the second. Lekson considers this tendency to “block-in” kivas a key part of the Chacoan kiva tradition, and in his 2007 chapter on great house form he goes into some detail on the historical development of the Chacoan kiva, starting with the early tenth-century examples, which are poorly known, and continuing through what he refers to as “transitional” Chacoan kivas, built between 1030 and 1070, only a few of which have been excavated. 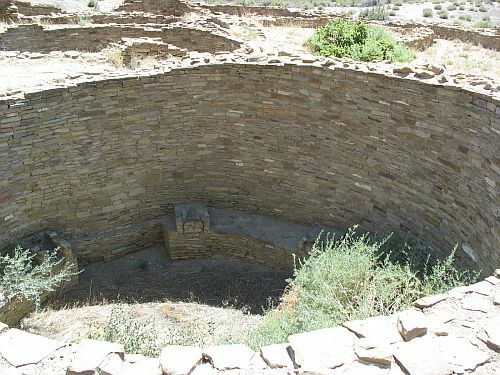 The best known of these is Kiva G-5 at Chetro Ketl, which was later covered over by later kiva construction culminating in an elevated “classic” Chacoan kiva (Kiva G) but is still kept open and visible underneath the later construction. These transitional kivas had most of the characteristics of later elevated kivas, and by Judd’s standards they would all be considered just Chacoan kivas. 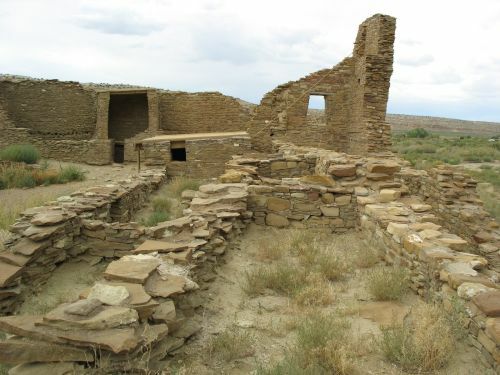 Lekson makes a big deal about the blocking-in, however, and it is true that this is something that markedly distinguishes Chacoan kivas from other types. No one else did this, and it’s very odd in a structural sense since those huge masonry cylinders needed extensive support, which often meant the “interstitial” rooms in the corners of the square room were braced with timbers or filled in with earth. One problem with using this as a defining characteristic of Chacoan kivas, though, is that there are a few late, very large Chacoan kivas that are subterranean and located in plazas rather than being blocked-in. 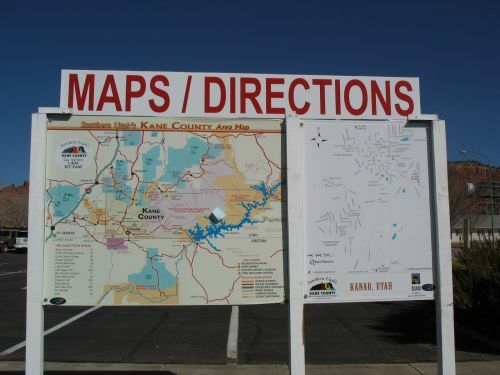 These approach great-kiva size, but they lack the features of great kivas. The best known of these is the Court Kiva at Chetro Ketl, which was later remodeled into a great kiva. 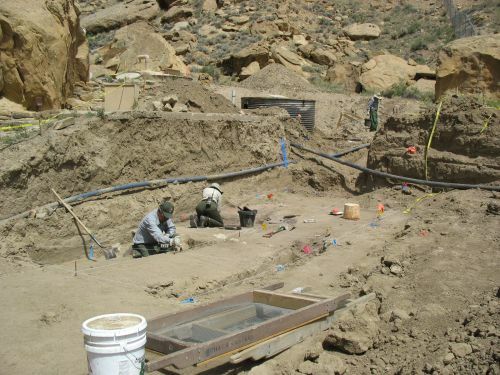 Only two other examples have been excavated, Kiva R at Pueblo Bonito and Kiva J at the Talus Unit. Kiva R has standard Chacoan kiva features, whereas Kiva J was only partially excavated and little is known about its features. Five additional kivas like this are known at Pueblo Bonito, and Lekson describes them as unexcavated, although at least two or three of them clearly seem to have been excavated as far as I can tell and they seem to have typical Chacoan kiva features, so I’m not sure what Lekson’s talking about when he says they’re unexcavated. Indeed, one of these, Kiva O, is still visible in the east plaza. 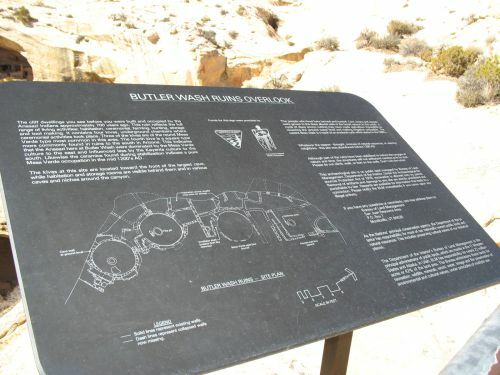 (Kiva R, which is in the west plaza, is also visible.) The fact that some of the largest Chacoan kivas are subterranean and in the plazas of great houses rather than elevated and blocked in makes Lekson’s use of blocking-in as a standard attribute of Chacoan kivas problematic, even just looking at the “classic” Chacoan kivas built after 1075. Wainscoting: This is the most controversial of Lekson’s criteria for Chacoan kiva status. 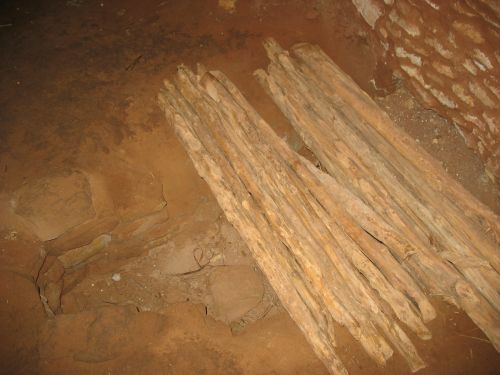 Basically, many of the excavated Chacoan kivas have a series of thin wooden poles (or, less often, boards) rising from the back of the bench and leaning in toward the center of the ceiling. Between them is a sort of wickerwork held together with clay or adobe (i.e., a sort of wattle-and-daub or jacal), plastered with mud on the interior side. The space behind this wickerwork is either left open or filled in with trash or other vegetal material (Lekson’s account is unclear here). 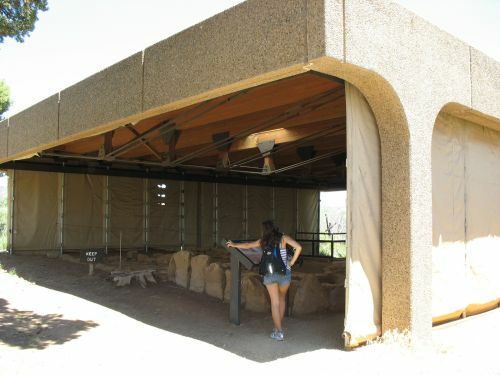 Lekson claims that this “wainscoting,” supported by the poles, formed the ceiling of the kiva, sort of a false dome, with the exterior roof at the top being supported by horizontal beams much like those used in the roofing of standard square rooms. This is in contrast to the standard way that Mesa Verde kivas were roofed, which was also a false dome but one made of cribbed logs beginning on the pilasters and alternating rows up to the roof. (This is the way Navajo hogans are traditionally roofed as well.) 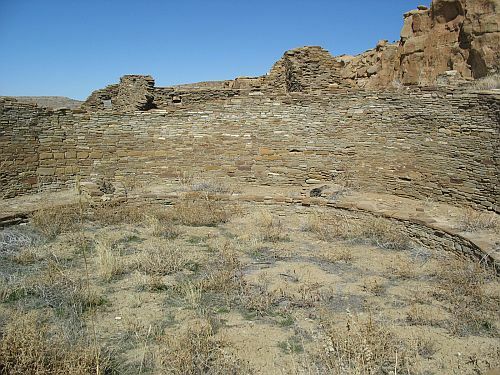 Some examples of intact roofs like this are reported in the Mesa Verde region, including one at Square Tower House that Fewkes used as the basis for interpreting and reconstructing the roofs of kivas at Spruce Tree House, which had not survived intact. There is at least one kiva at Pueblo Bonito that also had a largely intact cribbed roof (Kiva L). 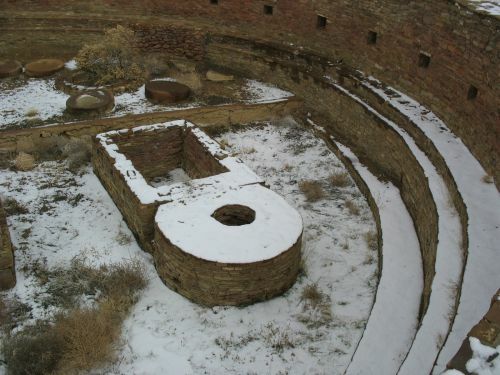 It has often been assumed that most Chacoan kivas, including the blocked-in ones, also had cribbed roofs resting on the pilasters, but it’s noteworthy that Kiva L is not blocked-in, although it does otherwise show classic Chacoan features, and that Kiva 67, another plaza kiva with classic Chacoan features, also showed evidence of having a cribbed roof through the impression of a log in clay spanning two pilasters, although the log itself did not survive. It’s possible, then, that the development of “wainscoting” as a means to roof kivas was an innovation spurred by the building of kivas in square rooms, which could easily be given flat roofs like other square rooms, although it’s not really clear what the advantage of wainscoting over cribbing would have been. It would probably have used less timber, but the Chacoans were hardly averse to importing huge quantities of timber and it’s hard to see them making decisions about architecture based on efficient use of resources. Chacoan kiva roofing remains an open question. 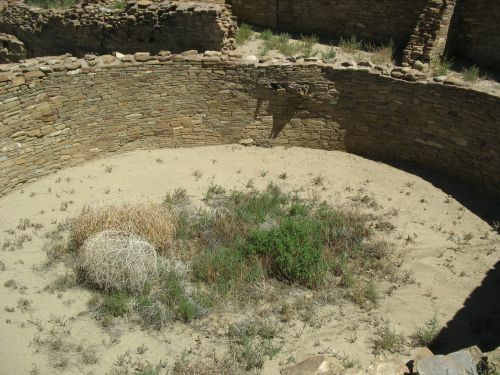 Kivas are particularly vulnerable to deterioration if they are left open to the elements, so all of the small kivas at Chaco that have been excavated have been subsequently backfilled to varying degrees. 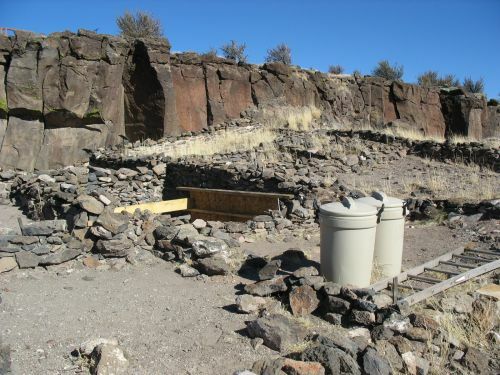 Many have been filled entirely, so that no trace of them remains on the surface; this is the case with the Court Kiva at Chetro Ketl and many of the plaza kivas at Pueblo Bonito. Others have only been refilled partly, in some cases to a low level so that the bench and pilasters are still visible and in other cases to a higher level so that only the upper parts of the wall can be seen. 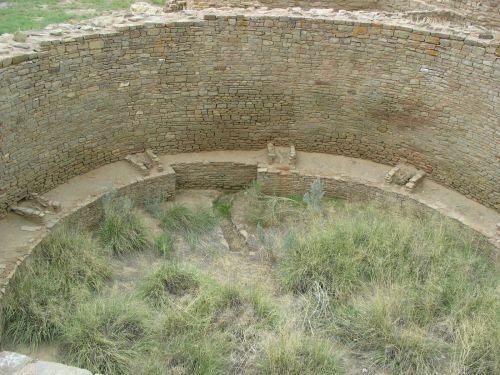 Thus, there is nowhere at Chaco where the floor features of a Chacoan kiva can be seen. 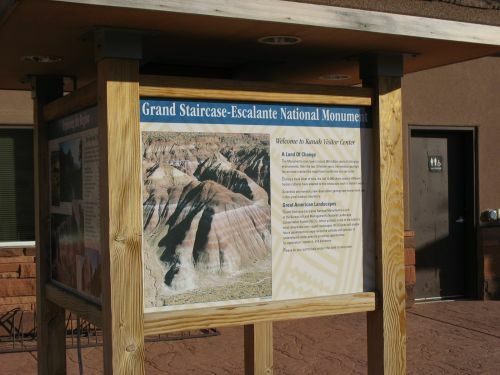 This is in contrast to Mesa Verde, where especially at the cliff dwellings like Spruce Tree House many well-preserved kivas in sheltered locations have their floors open to be examined. 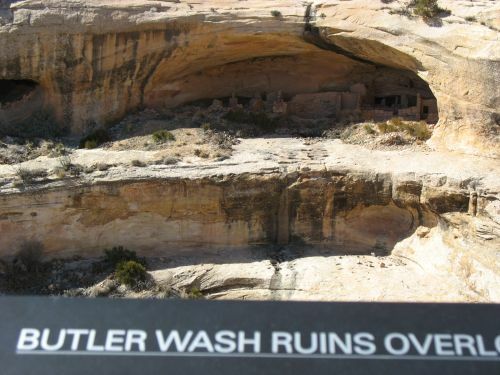 Those are generally Mesa Verde-style kivas, of course, rather than Chacoan ones. The best example I know of a basically Chacoan small kiva where the floor features can be seen is the reconstructed blocked-in kiva at Edge of the Cedars State Park in Blanding, Utah. This is an outlying great house that is much more modest than what you see at Chaco, but one of its kivas has been given a restored cribbed roof and other reconstructed elements to give a sense of what it would have likely looked like in its prime, and as it happens this kiva shows most elements of the Chacoan style despite being far from Chaco itself and in the Mesa Verde region. 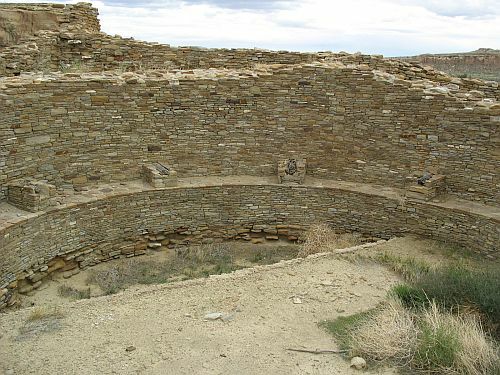 Also in the same region, one of the kivas at Lowry Pueblo has not been totally reconstructed to the same extent but it does have a protective roof over it and so also has its floor features open. This is another blocked-in kiva at an outlier far to the north that is nonetheless a good example of classic Chacoan kiva design. My main area of expertise when it comes to archaeology is the Southwest, but I currently live in New Jersey, and while I don’t know a whole lot about the archaeology of this part of the country I feel like I should probably weigh in on those rare occasions when an archaeological issue makes it into the news. We seem to be in the midst of one of those occasions now, with the State Capitol Joint Management Commission having recently approved an order by Lieutenant Governor Kim Guadagno to rebury the Petty’s Run archaeological site, which is immediately adjacent to the Statehouse in Trenton. This site, which was uncovered in 2008, contains a variety of buildings from the eighteenth and nineteenth centuries that shed considerable light on the early history of Trenton. The site lies right between the Statehouse and the Old Barracks Museum, and the administration of then-governor John Corzine planned to make it a key part of a new state park. The plan for establishing the park called for the site to be enclosed in glass, presumably to protect it while leaving it visible. When Chris Christie defeated Corzine last year, however, plans for the new park came to a halt and the site has just been sitting there, exposed but visible behind a fence. Indeed, Guadagno’s problem appears to have been that the site is all too visible. She can see it from her office in the Statehouse and she apparently considers it an “eyesore,” which is why she wants it reburied. Many people, including political opponents of the Christie administration and Old Barracks Museum director Richard Patterson, are outraged by this move. (The archaeologist who excavated the site, Richard Hunter, has declined to comment on the issue.) Guadagno’s apparent motivation in having the site reburied does seem rather petty, but a lot of the outrage seems to be directed at the very idea of reburying the site. I think this outrage is misplaced. This may be a silly reason to rebury a site, but reburying (or “backfilling”) sites is a standard and very effective way of preserving them. 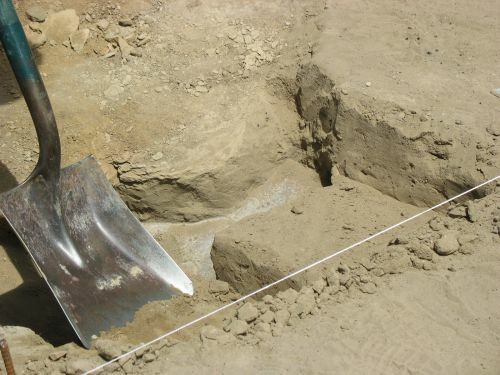 One of the major problems with excavation, and one of the reasons it is often avoided when possible, is that once a site is excavated it is no longer protected by the dirt that covered and preserved whatever was in it. If left open a site will rapidly begin to deteriorate, so whatever organization is responsible for the site has a choice. It can leave the site open and let it fall apart (not a popular option), or it can do something to preserve it. 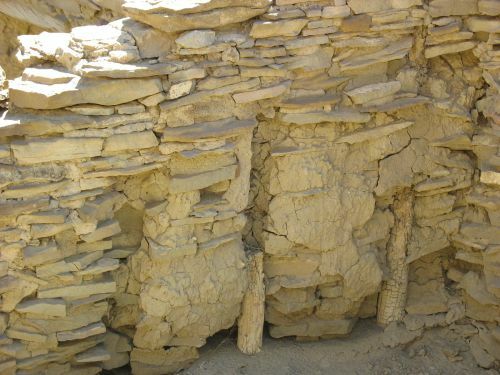 In places like Chaco Canyon, where the visual impact of sites is considered a high priority, preservation involves an elaborate and very expensive effort at stabilizing standing walls and preventing further deterioration. 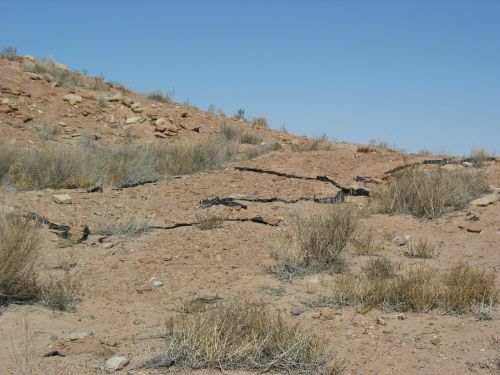 Since the main sources of impacts are weather and visitation, and these are ongoing year after year, preservation through stabilization means continual work. Another option is to build some sort of structure over the site to protect it from impacts while still leaving it visible to visitors. In the Southwest this is rarely done for major sites because it makes them look “inauthentic,” with some exceptions such as Casa Grande and some of the especially well-preserved rooms at Pueblo Bonito. For smaller sites and particularly fragile ones, however, this is a popular option, as it is much cheaper and less labor-intensive than constantly struggling to prop up the walls and generally provides better protection as well. Many of the mesa-top sites at Mesa Verde and other parts of southwestern Colorado and southeastern Utah have this kind of protection. It sounds like this is the kind of thing the Corzine administration was planning to do with Petty’s Run, although it’s not totally clear to me exactly how the glass enclosure concept would have worked. The final option, which is generally both cheaper and more protective than the other two, is backfilling. This takes most or all of the site out of public view, of course, which makes it problematic for sites that are intended to be developed as tourist attractions. For sites that are not publicly accessible, however, this is the standard means of preservation. It can be done in a way that makes it relatively easy to open up the site again later for further excavation, and in many cases archaeologists will refill sites at the end of each excavation season with the intent of returning to them later. 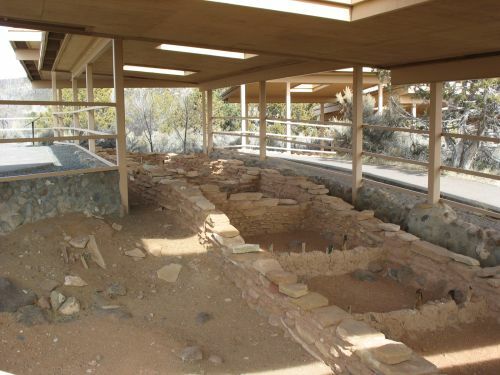 This can be done with tarps, for example, as the Arizona State Museum has done in its multi-year research project at the now-closed Homol’ovi Ruins State Park in Winslow. In some cases responsible organizations start out trying to stabilize excavated sites and end up backfilling them when they can no longer afford to. This is what has happened at Casa Malpais, which is owned by the town of Springerville, Arizona. Some rooms that had been left open after excavation were recently backfilled because the town could no longer afford to stabilize them. Now, this is all based on my experience of preservation techniques at sites in the Southwest, and it’s certainly possible that archaeologists in the Northeast don’t do things the same way. For one thing, Northeastern archaeology seems to be much more focused on the historic than the prehistoric period, presumably because there has been so much historic development overlying whatever prehistoric sites remain. 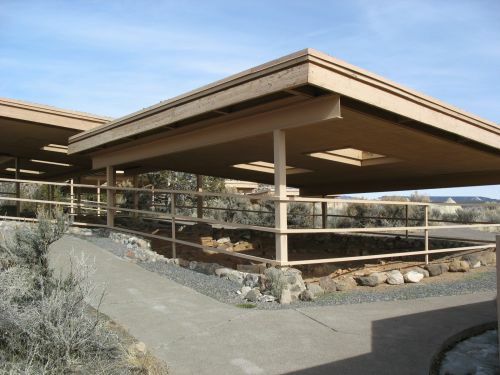 Since historic sites are often built of sturdier materials than those that were available to prehistoric people, it might not be as problematic to leave a typical historic site exposed as it would be to do the same with a typical prehistoric site. On the other hand, preservation conditions are much worse in this humid environment than in the arid Southwest. Water is one of the biggest threats to preservation of exposed sites, and with the amount of precipitation that is typical of this area I’m sure even the best-constructed historic sites are at considerable risk. The fact that the Corzine administration’s park plan called for enclosing the Petty’s Run site in glass makes me think this is indeed a major concern in Northeastern archaeology. The upshot of all this is that to the extent that the Christie administration is showing a lack of respect for the state’s heritage in its treatment of the Petty’s Run site, that’s being manifested in the decision not to pursue the park plan rather than the decision to backfill the site. Guadagno may be motivated by superficial aesthetic considerations in wanting the site reburied, but whether or not the site is an eyesore leaving it exposed is not the way to preserve it. Continuing my recent agriculture kick, I thought I’d just point to an interesting post from a little while back talking about modern agriculture, private property, contract archaeology, resource protection legislation, and the tendency for people (even archaeologists!) to not understand how they all relate to each other in practice. I don’t have much to add, but it’s a nice post and well worth reading. Several years ago I was in Kanab, Utah on the Fourth of July. When the segment of the town parade representing the local office of the Bureau of Land Management went by, a man standing near me in the crowd yelled out “Management, not ownership!” The people around him laughed and slapped him on the back good-naturedly. It was obvious that he was just saying what they were all thinking. 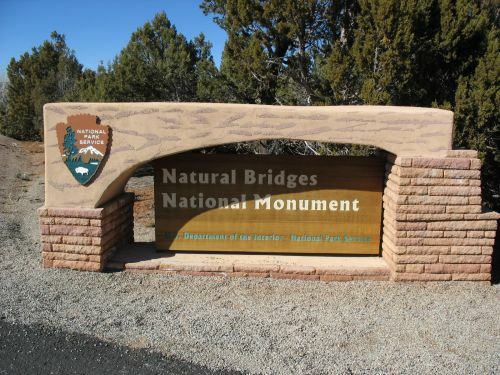 This was just a few years after President Clinton’s controversial establishment of Grand Staircase-Escalante National Monument, which is administered by the BLM’s Kanab Field Office, and there was still a lot of obvious bitterness about that. We did a lot of things on that trip. 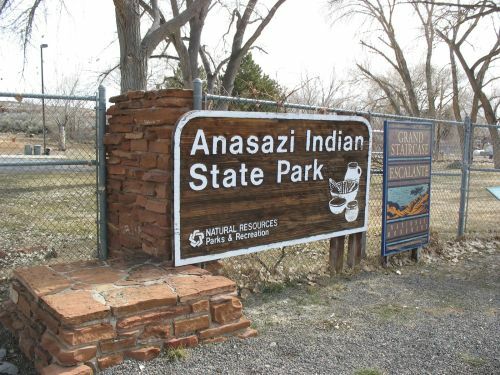 We camped at Calf Creek in the monument itself and visited Anasazi State Park in Boulder, Utah, which is a fascinating place, of considerably more importance archaeologically than I realized at the time. 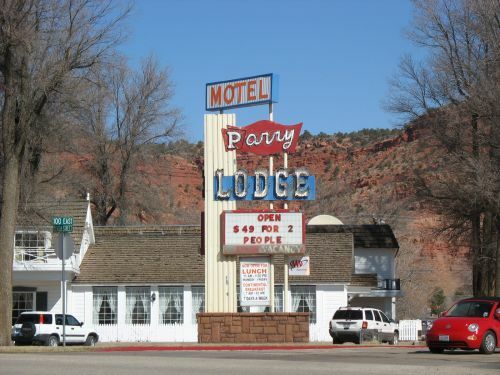 We ended up in Kanab, where we stayed at Parry Lodge, which prides itself on its history of housing movie stars who came to film in the area, and which was also where my parents used to stay when they had come to Kanab years before. It’s a nice little town, but it’s definitely part of southern Utah and has its share of the political attitudes typical there, as shown clearly by the man’s outburst at the parade. That kind of attitude toward the BLM in particular, and the federal government in general, is very common in southern Utah. 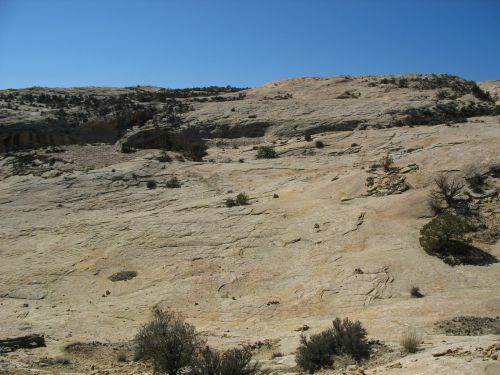 It’s particularly obvious right now in light of the outrage over a leaked government document mulling the possibility of establishing new national monuments throughout the West, including at two sites in southern Utah, but it’s been there for as long as there have been white people in the area and it’s never really diminished. Another recent example of the same attitude is the local reaction to the arrests in the Blanding pothunting sting, many of which portrayed it as an example of the BLM and FBI overreacting to a harmless hobby and oppressing good people for no reason except to show that they could. There’s a fundamental selfishness and sense of entitlement lurking behind this attitude, a feeling by many of these people that they should be allowed to do whatever they want just by virtue of being who they are. How exactly “who they are” is defined differs in different contexts, but most of the time I think it boils down to being white people (often specifically white men) in a country where the untrammeled right of certain white people to do anything they want has long been a powerful ideal. It’s an easy attitude to imbibe as a white person growing up in America, and I think it’s much more widespread than extreme examples in the rural West would suggest. I’ve encountered plenty of good liberals who are quite happy to propose and support policies that restrict the ability of others (corporations, polluters, police, soldiers, etc.) to do whatever they want, but whenever their own freedom is threatened suddenly change their tune. It’s an easy enough attitude to understand, and I don’t mean to be accusing anyone of hypocrisy here. I’ve certainly done plenty of this sort of thing myself. I’m mostly just suggesting a bit more humility and a bit less self-righteousness on everyone’s part, not as a transcendent moral principle but as a practical way to get along in a pluralistic society with lots of conflicting interests and opinions. It’s in that context that I note a good post by Keith Kloor on the monument kerfluffle, which includes a link to a very good meditation on some of these issues from an environmental journalist who is very clearly aware of his own sense of entitlement when it comes to issues of wildness and preservation. Resource management and preservation are fundamentally difficult issues to address, and there are no easy answers. There are too many conflicting priorities and contrasting opinions for there to ever be a simple way out. Keith’s quote from Ed Abbey is a case in point. I’ve never read any Abbey, but I know my dad hated him, more for The Monkey Wrench Gang than for Desert Solitaire, which I don’t remember him ever mentioning. I’m not sure what it was exactly about Abbey that rubbed him the wrong way, but I suspect it had to do with what Abbey represented: the outsider blundering crudely through a place extolling its virtues without ever really understanding it the way the locals did. My dad was very much a local in the Southwest, and while he had his own strain of entitled-white-guy thinking, it was very different from Abbey’s. It wasn’t so much Abbey’s environmentalism per se that annoyed people like my dad and his relatives, many of whom were strong supporters of the Sierra Club, Rachel Carson, and the “mainstream” environmental movement that they saw as totally compatible with their small-town petit bourgeois Republican worldview. Abbey, though, was different, a representative of a worldview that, while “environmentalist” in some sense, seemed to be more about self-indulgent destruction and nihilistic romanticism than about stewardship and preservation. It was people like Abbey, and especially his more extreme acolytes, who I think contributed heavily to the souring of local white people in the rural West on environmentalism in general and activist groups composed mainly of people from elsewhere in particular. It’s a shame, too, because there is actually a lot of sentiment among westerners in favor of conserving natural resources and limiting destructive development, but these days that sentiment seems to be used mainly as a rhetorical cudgel against environmental groups, giving cover to exploitative corporations, some of which have become pretty good at ingratiating themselves with local communities. I don’t mean to try to pin all of this on Abbey, since there has obviously been a lot of other stuff going on that has contributed to this dynamic, but I do think he played a role. One other thing about Abbey that Keith notes in his post, however, is the fact that he was living in Hoboken, New Jersey when he completed Desert Solitaire, and he may even have written the whole thing there. One way to interpret this, in light of what I wrote above, is that it reinforces his “outsider” status relative to the West, but I think there’s a better way to look at it. Abbey’s West, like most people’s, existed primarily in his mind, and his perception of the landscapes he wrote about was filtered through his experiences and preconceptions. That doesn’t make it any less “real,” however. Abbey’s books, which I emphasize again I have not read, should stand or fall on their own merits, regardless of how much or how little time their author spent in the places they describe. I’m a strong believer in the idea that physically being in a place, while helpful and perhaps necessary to having a “complete” or well-rounded understanding of it, is not a necessary precondition for talking about it at all. Indeed, I could hardly think otherwise, given that I write all about the Southwest on this blog while living in (a different part of) New Jersey myself. For me, then, the idea of Abbey sitting in a bar in Hoboken recalling the canyons of Utah makes me more sympathetic to him, not less. Personally, I’m not a very adventurous type. I’ve been a lot of places and I’ve seen a lot of things, and those experiences have been immensely valuable to me, but I’d fundamentally prefer to be sitting in a cute little coffeeshop somewhere, reading or writing a book, rather than hiking across slickrock canyon rims contemplating the beauty of the landscape. Not that I don’t enjoy the latter, but it’s not my usual preference. Personal preferences don’t matter that much to larger issues most of the time, but when aggregated across large numbers of people they do add up, and in the context of resource protection there are actually some important implications. One way to look at it, and by no means the only one, is to ask a simple question: On the margin, who is impacting the landscape more, the reader in the coffeeshop or the hiker on the canyon rim?